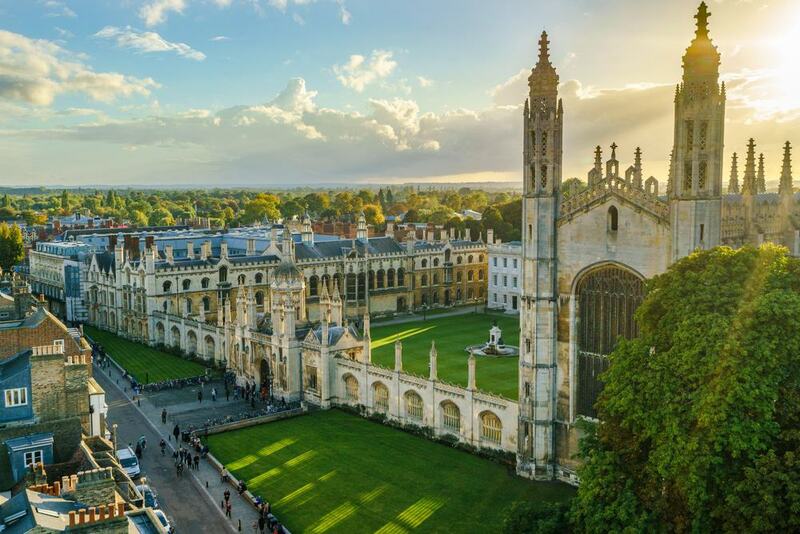 Cambridge has been a popular university town ever since the first college was founded in 1209 but many people don’t realise how interesting it is as a place to visit with entertainments and amenities throughout the year. The town itself takes its name from the River Cam which winds its way through the beautiful parkland and meadows that are a striking feature for anyone fond of outdoor pursuits such as cycling and walking. There are many old buildings and churches that feature elegant architecture in a range of styles from Norman to Victorian gothic. Well worth a visit is St. Botolph’s church that has a Mediaeval tower while All Saints in Jesus Lane has a prominent spire. Cambridge is crammed with museums dedicated to different branches of history. The Sedgwick Museum of Geology offers free admission to see fascinating fossils and dinosaur skeletons and often stages exhibitions such as Charles Darwin’s voyage on HMS Beagle. There are other museums which feature science, archaeology and classical and contemporary art. Cambridge has a long history of market trading dating back to the Romans. One of the most popular today is the regular Farmers’ Market that has stalls laden with fresh produce from the surrounding countryside. A wide selection of shops and boutiques can be found in the Grand Arcade shopping mall and also at the Grafton and Lion Yard. Cambridge has become famous for the many festivals and fairs it holds during the year. One of the most famous is the Strawberry Fair which is held in June on Midsummer Common. It features a variety of locally made arts and crafts, live music to suit all tastes and entertaining side shows for all the family. There are also several fairs devoted to real ale such as the Octoberfest which is held in the autumn. There are pubs, clubs and several theatres such as the Corn Exchange with productions throughout the year. Cambridge FC plays home matches at the Abbey Stadium and there are many other sports represented in the city including real tennis and rugby. Everyone who visits Cambridge wants to go punting on the River Cam which easily rivals the famous gondola trips in Venice. There are several small barges for hire with or without a chauffeur to enjoy travelling along the river between the colleges which connect via several bridges. The most well-known is the Bridge of Sighs, an elegant, covered stone bridge which was built in 1831. Amongst many others is the Mathematician’s Bridge, a wooden structure that was originally built in 1749. On the outskirts of Cambridge is the picturesque village of Grantchester which was a favourite with the poets Lord Byron and Rupert Brooke, whose name incidentally, graces the village pub. Every Boxing Day for the last fifty years there has been an annual barrel rolling contest which is popular with residents and visitors alike. Plan your trip to Cambridge with Signet Apartments.